Working abroad is pretty much the dream for most Filipinos. More than having the chance to gain experience of other cultures and working styles, working overseas provides the opportunity to advance quicker in one's profession and financial status given the scarcity of locally available jobs. Sea-based engineers, healthcare profesionnals, land-based engineers and IT professionals are the highest-paying specializations based on Workabroad.ph's annual report. A ship master in the US can potentially earn Php99,000, a chief engineer can earn Php96,000, and a chief officer can earn Php92,000 monthly. Meanwhile, land-based engineers that are in-demand in the Middle East and Asia-Pacific can earn a monthly salary of Php57,000 and Php59,000, respectively. Healthcare professionals are most compensated in the Middle East. Among doctors, those who specialize in pediatric care can earn as much as Php86,000 a month; nurses can earn Php65,000, while veterinarians can earn Php58,000. IT professionals are also highly paid in Asia-Pacific; those with 0 to 4 years of experience can already earn as much as Php54,000. The survey also revealed the top 10 countries of deployment, with Saudi Arabia topping the list. From January to October 2017, 54.19% of jobs ads are from Saudi Arabia. Middle East countries such as Qatar, United Arab Emirates, Kuwait, Bahrain and Oman are part of the top 10. In 2017, Malaysia and Taiwan made their way into the top 10 countries of deployment list, replacing 2016’s Australia and Brunei. WorkAbroad overseas jobs also revealed skilled workers are still the most in- demand. 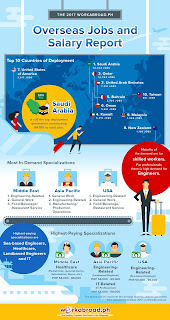 In the Middle East, Filipinos can find numerous opportunities in general work, engineering-related and food/beverage/restaurant service sectors. In-demand general work roles include drivers, electricians, and AC, auto, refrigeration, plumbing, and maintenance technicians. In-demand engineering-related skilled roles include mechanics and electrical technicians. There are also opportunities for cooks, waiters/waitresses, and baristas. In Asia-Pacific, jobs await skilled workers like carpenters, household service workers, and caretakers. Opportunities also abound in the engineering-related segment for technicians and technical operators and in the manufacturing/production operations segment for factory workers, production and machine operators, and welders. While sea-based engineers are in-demand and well-compensated in the US, skilled workers are also needed, such as electricians, fitters, able seamen, cooks, waiters/waitresses, and stewards. Across regions, from the Middle East to the US, in the professional segment, engineers are the most in-demand. East where most Filipinos are not familiar with the culture. Being work-abroad ready means familiarizing oneself with the country of deployment. More information can be gleaned from the PEOS Online modules that provide a guide for each key destination. Jobseekers are highly encouraged to seek out valuable information when considering prospective opportunities. Good information is available from government agencies, such as the Philippine Overseas Employment Agency, and, of course, Workabroad.ph. 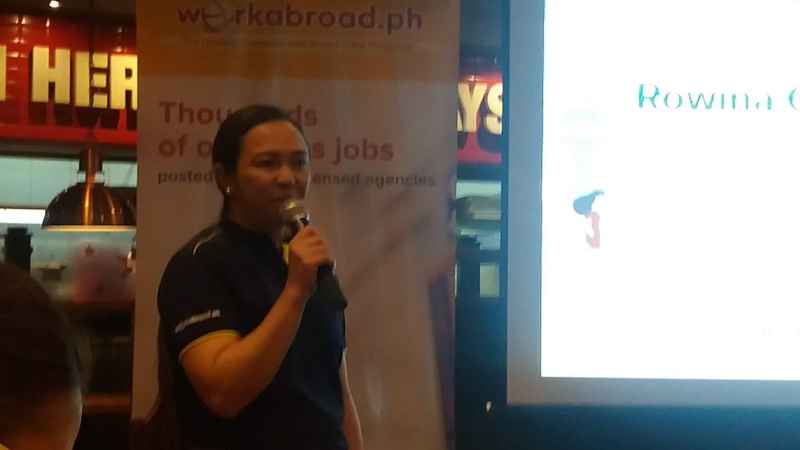 WorkAbroad.ph is the Philippines' leading overseas job site. It is a platform that allows you to obtain an in-depth understanding of how to find and apply for a job overseas. Currently, it services over 800 POEA-accredited recruitment agencies and has over 4 million jobseekers in its database. WorkAbroad.ph is part of SEEK Asia, which is the leading online employment market place in Asia. SEEK Asia covers 7 countries namely Hong Kong, Indonesia, Malaysia, Philippines, Singapore, Thailand and Vietnam.